Bangalore The Garden City, India’s Silicon Valley, the young and thriving multicultural Karnataka town. The city is home to people from all over India and it is a microcosm of the diversity that India stands for. There are many unknown facts about Bangalore. A true metropolitan, the city is known for many things over the country. But if you’re from here, you will think of the little things that make the city endearing. So, here is a list of 10 Facts About Bangalore! Facts about Bangalore includes the love of fractions by the Bangaloreans. Especially auto drivers. If you have traveled around Bangalore in autos without even encountering variations of prices like ‘one and a half’ or ‘double’ then you haven’t really lived here long enough. This obviously moves on to the realm of restaurants as well. A ‘ two by three’ or ‘by two’ or ‘three by four’ or any further multiple can fall in this city. This isn’t restricted to the tiny outlets. Oh no. It’s a menu staple in most places. It’s quite difficult for an outsider to figure out why this man is ordering his soup infractions. The Mumbaikars maybe proud of their beaches and Delhiites may be proud of their heritage and importance. But nothing beats the pride the Bangaloreans hold about their weather. And weather is worthy of such pride. Facts about Bangalore include its weather which is almost constantly the one where you listen to the 80’s romantic music while eating pakoras. Most evenings make you want to fall in love just so that your existence can justify the weather. Even though the feeling of seeing a cool but bright morning, followed by an intense afternoon which is easily cooled by a cool cloudy evening along with a gentle breeze is a regularity, it’s difficult to get bored of it. Even if you’ve lived here your whole life, you would still stop to appreciate the breeze. Facts about Bangalore also include that Bangalore Traffic police have achieved national fame for their twitter handle. It’s full of puns and pop culture references. When you think of Game of Thrones, Bangalore Traffic Police doesn’t strike as the first fan account. Along with working the roads for us and ensuring the city doesn’t fall into chaos, they also manage to entertain us as well. With warnings that contain Harry Potter references, who really wants to break the rules Eh? Bangalore is known as the Garden City of India for a reason. There is a spacious park for nearly every locality. 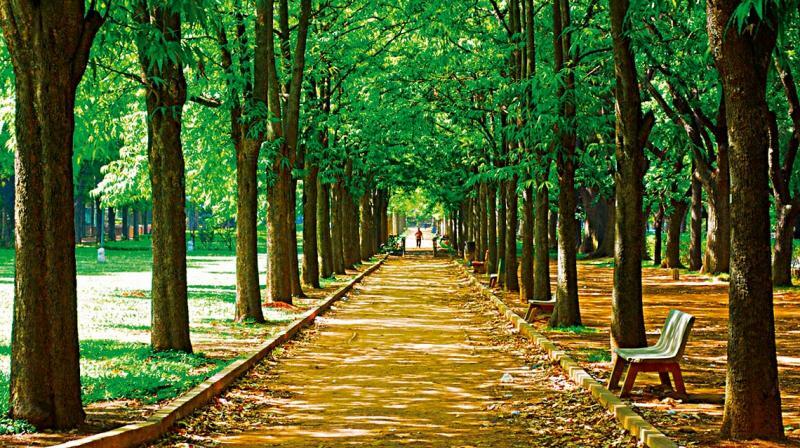 The center of the city holds the most beautiful span of gardens designed by Lord Cubbon named the Cubbon Park. Residing in the midst of the busiest and tallest skyscrapers doesn’t take away its tranquility. Once you enter the place, it holds immeasurable peace and tranquility. Bangaloreans have their favorite Banyan Tree which is 400 years old and covers 3 acres of land! This is one of the most interesting facts about Bangalore. Most hip concerts in the country happen here. Majority of the target audience for most rock bands live in Bangalore. It also happens to be a college city so a lot of college students who are rock fans attend the concerts. It contains have of every genre. And am often sit under the Bangalore midnight breeze just adds to the allure. The city reflects the dream and passion of millennial India. As India’s Silicon Valley, facts about Bangalore include that this city boasts of more than 1600 startups. Many of them are lively and young and IT-oriented. As the proud home of Flipkart, the Startup Genome’s Global Index now known as Compass placed Bangalore at the 15th position in the overall world ranking.“Bangalore also boasts an incredibly youthful startup ecosystem, with the youngest average founders’ age of all the top 20 ecosystems,” reveals the Compass report. So if you’re young and looking to beat the establishment, Bangalore’s the place to be. Traffic Jams are Bangalore’s ugly underbelly. There are very few things more daunting than a Bangalore road. The papers here have run full-fledged campaigns and photoshoot while the traffic moved less than an inch. You could start a new company before you get home. Most tech companies in the city have a ‘work from commute’ option. And of course, Bangaloreans deal with this frustrating scenario by making fake twitter accounts, as one does. The busiest traffic signals in the country have their own Twitter handles. These sarcastic tweets are the only thing keeping the thousands such for hours sane. Language is a function of every culture. 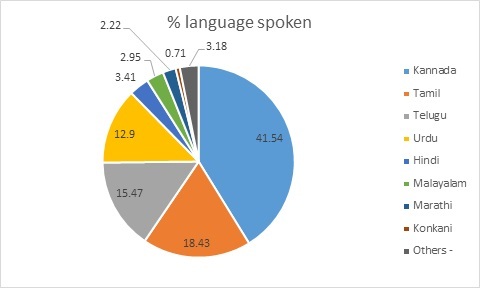 And Bangalore has its definitive dialect as well seeing as this place is an agglomeration of most of India, it is obvious that there is no particular language that is a staple although Kannada seems to be everyone’s favorite one. The simple yet beautiful words of Kannada mixed with a wide variety of English words in various accents from across the country has lead to its own dialect of speaking. But certain phrases like ‘Swalpa Adjust Maadi’ have become a representation of this entire subculture. One of the most interesting facts about Bangalore include the kind of people you’ll find here. The people of Bangalore are beautiful and almost always look busy and unapproachable as they rush around. But if you smile at any one of them, there is a 95% chance they will smile back. I can not speak for everybody. But as I am focusing on Bangalore in the point of view of a youth-centric town, I would say the young people of this city seem more at home with their culture yet very aware of the world beyond our borders than in most other places. And while we are all zipping around, honking at Silk Board Junction or cramming into a packed metro, a little smile is always returned. And that’s how you know, that you live in a beautiful place.